In social science terms, the `Arctic' is a relative, not an absolute concept, relating to several dimensions, such as constitutional and geographic status, remoteness, socioeconomic status, and demographic/anthropological factors. There is only one sovereign state with all its territory situated in the Arctic (Iceland), but many other areas of the globe have shared characteristics (Alaska, Yukon, Northwest Territories, areas of Norway, Sweden and Finland north of the Polar Circle, Greenland, the Faroes). Remoteness has to do with distance from the centre as well as accessibility, transportation and communication. Socioeconomically, the Arctic is characterised by a low population density, a fragile natural environment, and overwhelming economic dependence on one or a few resources, often coupled with income transfer. Demographically, the region has a large number of indigenous peoples, heavy immigration from the South (albeit only seasonal), minority problems, immigrant majorities, high infant mortality, low expected lifespan. The present book is the first to present a large number of articles on the contemporary social, economic and political development in the Arctic, written by social scientists from Russia and the western world, many of whom live and conduct their research in the region. 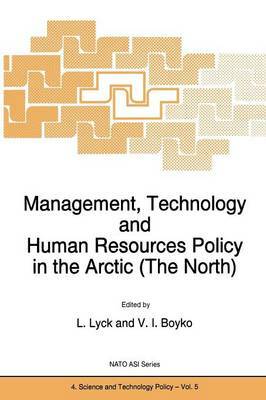 The book thus presents a much more complete picture of the modern world of the Arctic, offering a unique opportunity to compare what is happening in the different parts of the region.